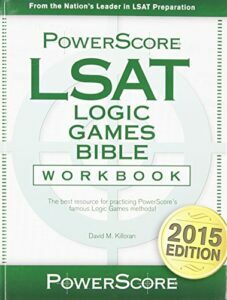 What Should I Do While I'm Waiting For My LSAT Score? 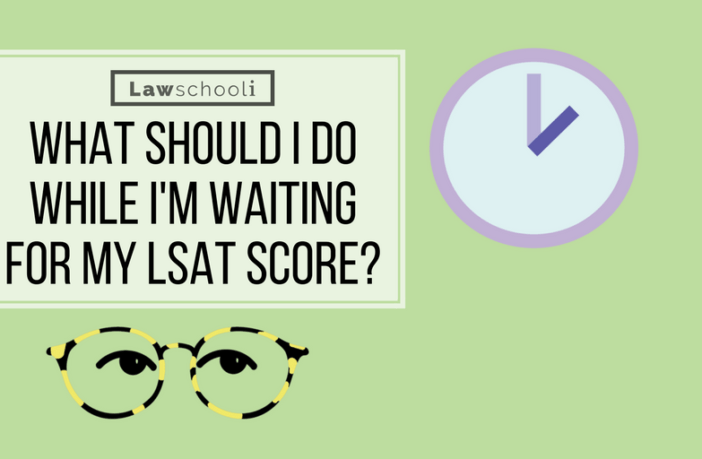 You are at:Home»Admissions»What Should I Do While I’m Waiting For My LSAT Score? I’m fully aware that after one takes the LSAT, they want to forget about law school, logic, the LSAT, admissions, etc. for a bit. For June LSAT takers, this is totally okay (that’s one of the many reasons we most recommend taking the June LSAT). Those taking in February but not applying until the following admissions cycle are similarly able to just relax. Here are some suggestions on what to do while waiting for your score. You’ve just taken the 3rd most stressful test you’ll ever take in your life. Only your first law school exam and the bar exam are going to top this for pressure. Take a few days off to cool out and relax. For October and December takers, this should be done even if you think a retake may be necessary. 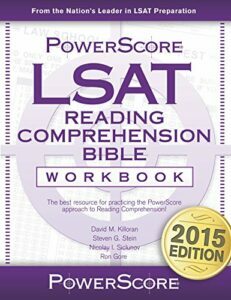 Beyond the fact that you deserve it, it should not hurt your LSAT abilities at all to take a breather. In fact, it will more likely help them. If you’ve been neglecting your personal statement, it’s time give it the attention it deserves. After your LSAT score and GPA accounted for, the personal statement is far and away the next most important part of your application. This is the one opportunity you get to introduce yourself as a person. Take advantage of it! Many view the personal statement as an after thought and miss the opportunity to set themselves apart. Draft and redraft. Read great writing for inspiration, then draft some more. Get any great writers you know to read it. This is your manifesto. If you already have a draft done up, spend this time asking yourself the hard questions about your PS. If I read this, what would I think of the writer? Do I come across as likable, or a narcissistic brat? The time since you first wrote it may have given you some perspective. If you are feeling like your personal statement is turning out to be a liability, consider getting some professional help. Peg Cheng at prelawguru and Anne Levine at lawschoolexpert provide consulting services for personal statements. It’s expensive, yes, but can have a seriously big pay out. 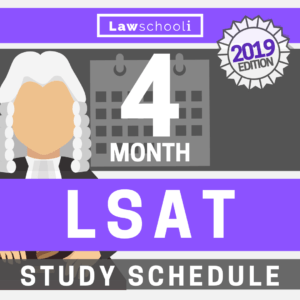 While a little break is encouraged, I very commonly see people doing absolutely no LSAT work at all in the three weeks during which they are waiting for their score. 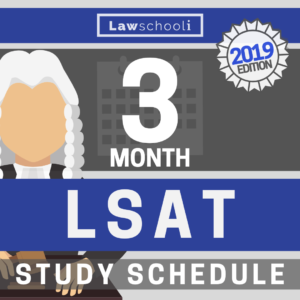 If you’re not confident in your performance and you think you may need to retake the LSAT, you simply can’t afford to wait until scores come out to start studying. 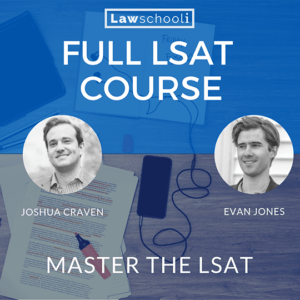 Say you took the December LSAT and think it’s possible you’ll score below expectations. By the time scores are released, you’ll only have about a month to prep for the February exam. If you are seeking to improve beyond where you were scoring before the December exam, a month may not be a enough time to make major strides. Do some low stress prep in this waiting period. 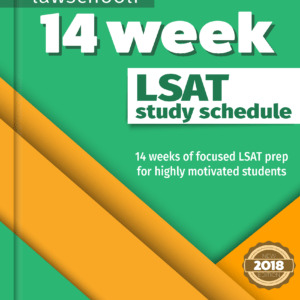 If you may need to retake the LSAT, the three week wait is a great time to revisit fundamentals. Revisit the LGB/LRB/RCB. Make sure that your conditional reasoning & formal logic skills are sharp. 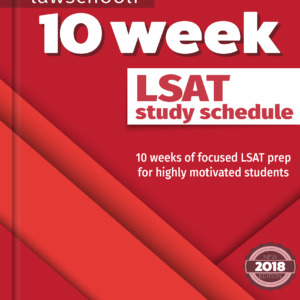 If you are running low on fresh LSAT preptests, be sure to stock up so that you have plenty of new material to work through as you’re preparing for a retake. 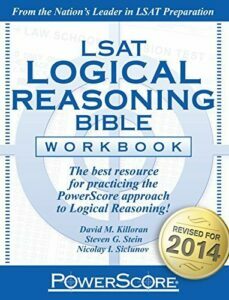 Tip: Here’s a handy list of every LSAT preptest. By now, logic games that you have not done since the beginning of your prep should feel more or less like you are doing them for the first time. Divide them up by game type and crush through big blocks of them. Give them a first pass, then make sure your setup is perfect. If it was not, do them again with the right setups/rule representation. This will reinforce the improved techniques. For Logical Reasoning, search your error logs and dig out a big batch of questions you found really difficult during your initial prep. Divide them up by question type. Rather than simply doing them over, here’s my advice: write some explanations for them. Check your explanation against those written by an expert. 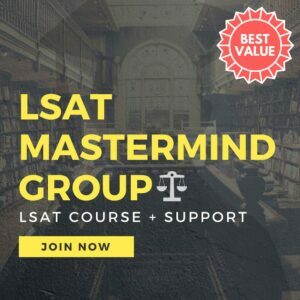 If you are in our Mastermind Study Group, you’ll have access to hundreds of LSAT explanations that you can compare your thought process with. I’m also happy to analyze and provide commentary on any explanation Study Group members write. Another resource that often goes overlooked: the Powerscore workbooks. Many people work with the Bibles in their initial prep, but don’t do the accompanying workbooks. They are a tiny investment for a lot of great practice, giving you drills and extensive explanations that bring you through the actual thought process of applying the proper techniques to questions. On the LSAT, there are no points for originality. It’s fully okay to copy the techniques of experts! Generally, the more closely aligned your approach is with that of an expert, the better you’ll do. Click here to all all 3 Powerscore Workbooks to your Amazon Cart. Next Article Is Your LSAC GPA Lower Than Your Degree GPA? I’m retaking in December and I’m using the 10-week study schedule. I’m finding a few overlaps between the practice tests listed in drills and those listed as “full tests” we’re supposed to take later on. Should we stick to the recommended PTs for drills and just do a different test for the full lengths? Hey guys! I have applied to law school for the coming year and was just presented with a quandary. I interviewed at both Northwestern and WashU this last week and WashU gave me a pretty sweet offer. If I pledge to attend by next Friday, they will give me a full tuition scholarship and a dean’s fellowship. This fellowship comes with a whole host of benefits. My dilemma is that I want to practice in Chicago and don’t know if WashU will get me the biglaw job in Chicago that I want. Also, Northwestern is my first choice, but I’m not sure if I’ll even be admitted. In addition, money is a large consideration, and I would need some scholarship to make Northwestern a viable option. Also, I am applying right out of my undergrad and do not have the year of full time work experience that Northwestern so dearly values. I have a 170 lsat and a 3.73. If I do not take WashU’s offer, I would be taking the risk of being rejected at Northwestern and losing the dean’s fellowship benefits, which make WashU a great option. What do you think I should do? If you could write a response asap, I would appreciate it a ton. Thanks for your help! -LSAT: I was PTing at 178+ with a handful of 180s. I took the September LSAT and expect my score to be in that range (knock on wood). I’d say if your high score comes through, you’ve got near certain odds at getting in to at least one t14 school, probably several. A 3.35 is not all that bad. Let me know how you do! Hi Evan: following up on this. I got a 179! Harvard would be my dream school but I know that’s probably out of reach with my GPA. Since Columbia is my next choice, would it make sense to give up on Harvard and apply to Columbia ED? Is that still aiming too high?